Soaking your turkey in this brine will guarantee a moist flavorful bird perfect for your Thanksgiving feast! I have been tapping my toe, waiting for November to arrive so that I could share with you this recipe for our favorite way to make an INCREDIBLE Thanksgiving Turkey!!! We started brining our Turkey a few years ago and never looked back. Have you done it before?? Once you have, you'll never go back. I promise. I've eaten Thanksgiving turkeys all sorts of ways (including deep fried), and I guarantee you that you'll never eat a turkey as flavorful and as moist as a brined turkey. Period. Okay, so what's a brine? 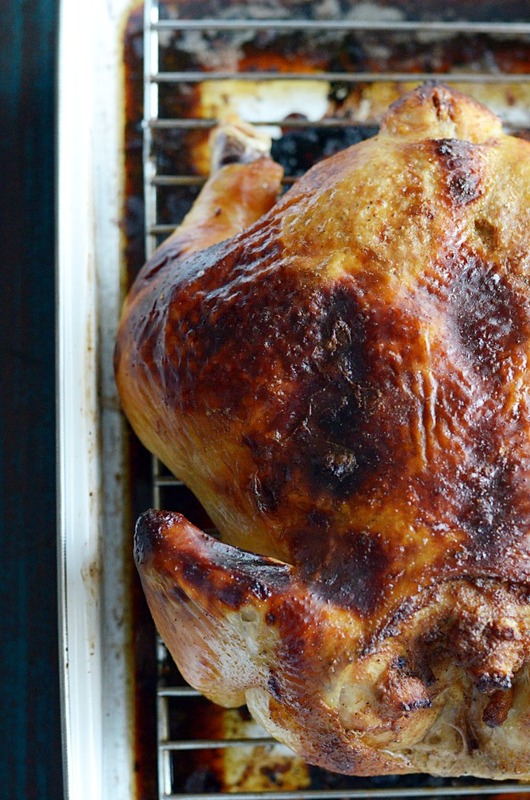 And WHY should you brine a Turkey? A turkey is a pretty non-fatty piece of meat, which means it's especially susceptible to being dry once cooked. A brine is, in it's most basic form, a salt water solution for soaking the bird overnight. As it soaks, the bird absorbs the moisture and flavor of the solution-- virtually guaranteeing a moist, flavorful turkey! We've always loved Alton Brown's honey brine recipe, but this year we decided to switch it up and use Apple Cider in place of the water. And I decided to add a rub down post-brine with my favorite cajun seasoning (I like Bojangles seasoning; but if you can't get your hands on it, just look for a generic cajun seasoning in the spice aisle). 1. Combine the cider and the salt until the salt has dissolved. 2. 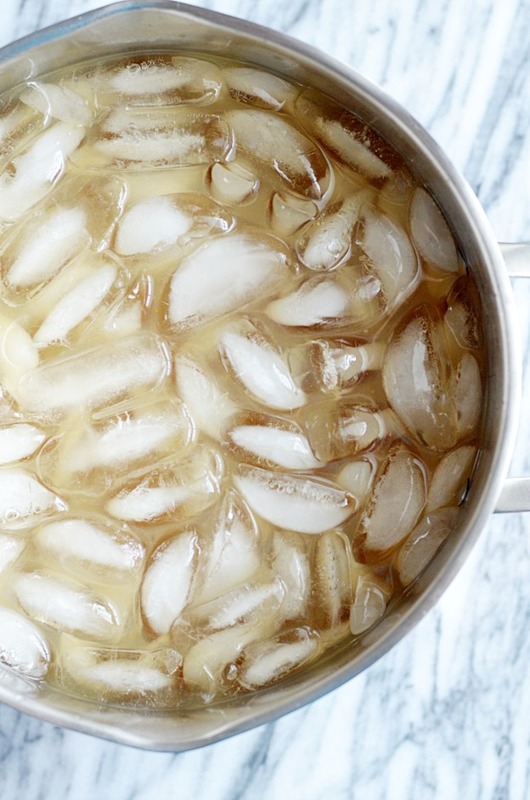 Pour the brine into a cooler large enough to accommodate the ice and the turkey in addition to the liquid. 3. Stir in the broth and the honey. Add the ice. 4. Place the turkey in the brine, breast side up, and cover with the cooler lid. Let soak overnight or 12 hours. 5. Remove from brine and dry thoroughly with paper towels. 6. (I prefer to use gloves for this part) Slip your hands gently underneath the skin to separate it from the meat. Rub the seasoning into the meat beneath the skin. 7. Use your hands to spread the butter over the seasoning. 8. Preheat the oven to 450ºF. 9. Place the turkey in the oven (on in a roasting pan) and turn the heat to 350ºF. 10. Bake for 13 minutes per pound, or until the meat reaches an internal temperature of 165ºF.